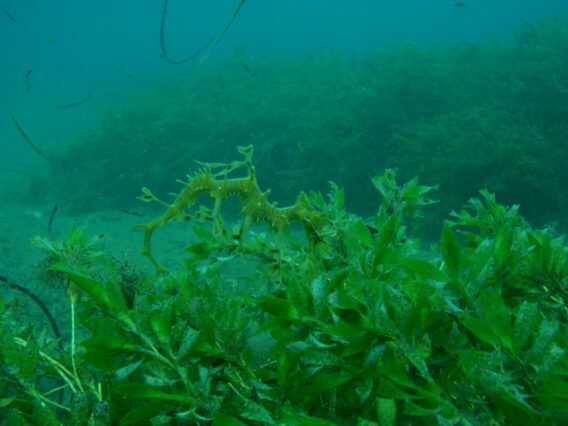 Concerns About the Welfare of Leafy Seadragons at Rapid Bay | Marine Life Society of South Australia Inc. 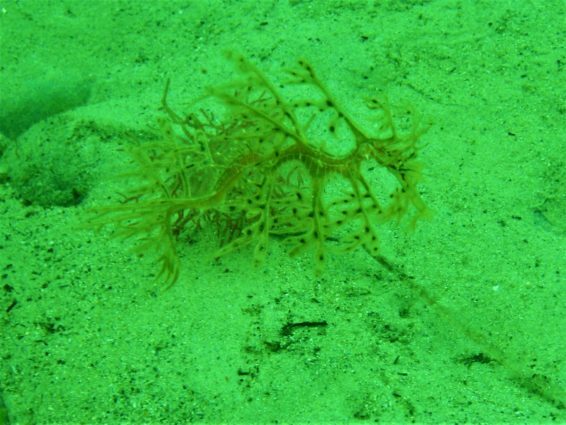 The Scuba Divers Federation of South Australia recently issued a statement because of concerns about the welfare of leafy seadragons at Rapid Bay in light of increased diver activity whilst waiting for new steps to be built at the Port Noarlunga jetty. “With the steps at the Noarlunga jetty out of commission, the number of divers and diver training courses using the Rapid Bay jetty has increased. 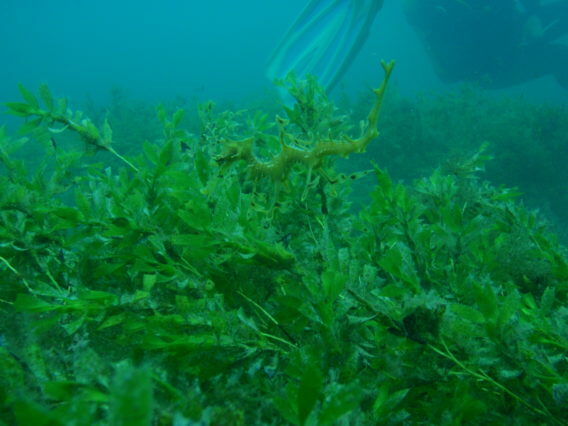 Concerns have been expressed that the leafy seadragons may be disturbed by diver traffic. 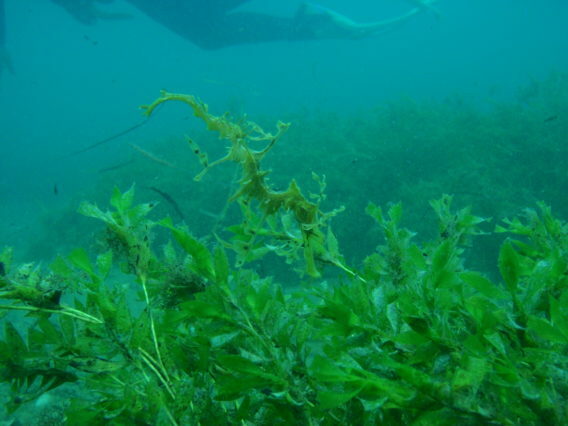 We would kindly remind all divers and instructors using Rapid Bay to not disturb the sea grass beds and to refrain from actions such as following seadragons or inadvertently touching them as that would cause them stress. We recognize that the high number of divers at Rapid Bay may be temporary until the Noarlunga steps are repaired, but in the meantime we hope that every effort will be made to minimize our impact on South Australia’s iconic species. 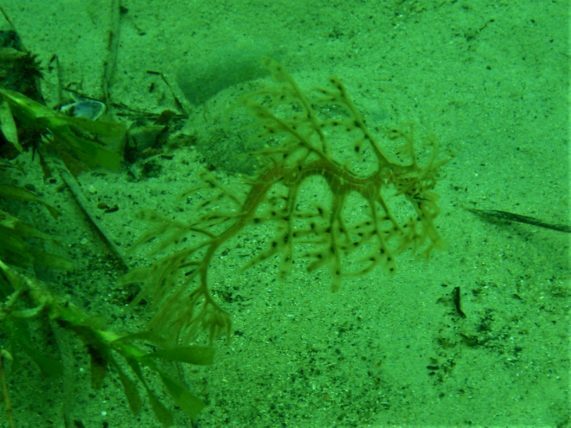 I was preparing to ascend to the jetty steps at the Rapid Bay jetty recently when I noticed a group of what appeared to be student divers nearby. 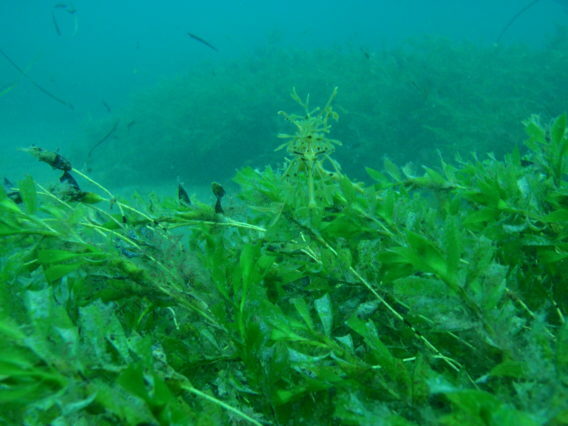 I then noticed what appeared to be a dive leader pointing out a creature in the seagrass bed near the steps. A few of the ‘student divers’ moved closer to inspect the creature. I was keen to find out just what they had seen so I swam towards the group. As I moved closer to them, the ‘student divers’ started to swim away from the creature. 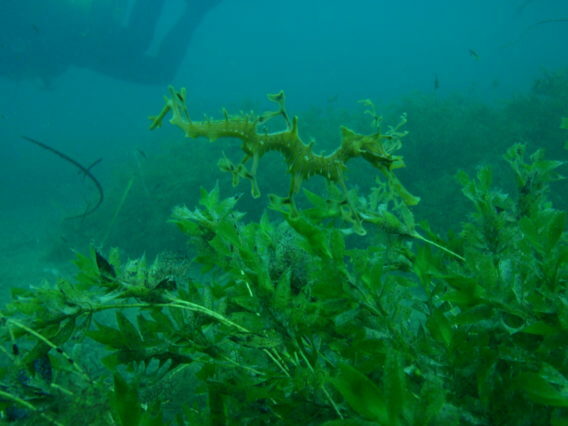 I could now see that the creature was actually a small leafy seadragon.